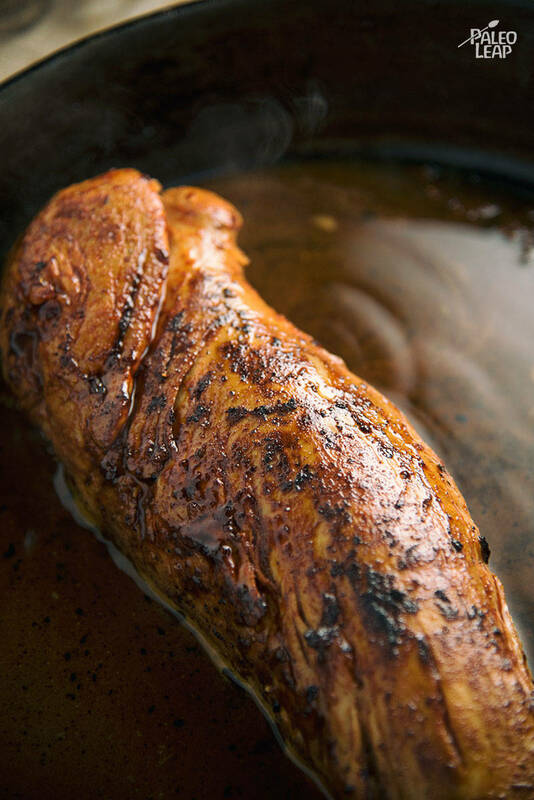 A marinade of maple syrup and smokey spices gives a sweet, rich flavor to the pork tenderloin. The apple cider vinegar also adds a bit of tangy taste to this dish. 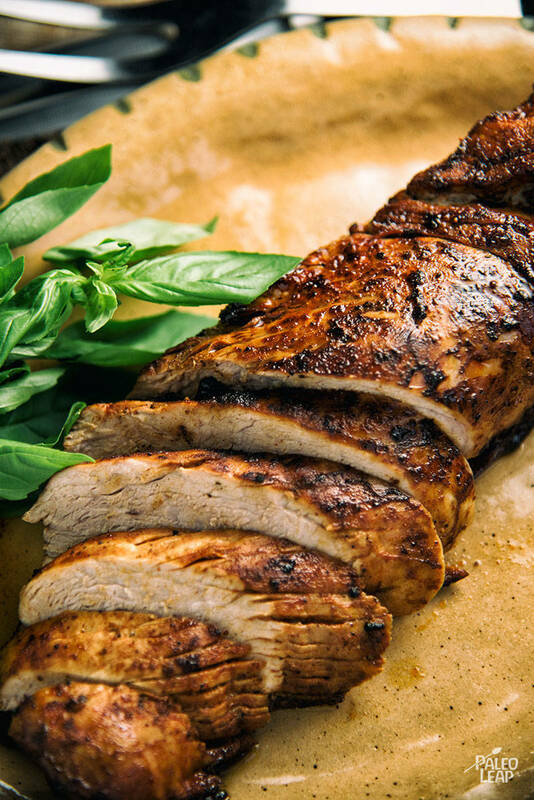 While pork tenderloin would be great to enjoy during the cooler months, it would also be a delicious and warming meal any time of the year. One of the more difficult transitions for people to make when eating Paleo is to cut out refined sugar and use natural sweeteners, instead. However, people are often left wondering which “natural sweeteners” to add back in and how much. The answer is different for everyone because everyone’s age, activity level, stage of life and tolerance for sugar is different. Honey and maple syrup are two popular Paleo sweeteners. However, some find it easier to abstain or limit even natural sugars. Luckily, most recipes are flexible and you can adjust the amount of sweetener you use to fit your taste and preference. Serve this pork tenderloin with roasted carrots or sauteed spinach and onions. Use leftover pork to toss in a salad the next day! In a bowl, combine the maple syrup, apple cider vinegar, chili powder, paprika, and olive oil. Season to taste. Marinate the pork with the chili maple sauce in the refrigerator for 2 to 12 hours. Remove the pork from the marinade. Melt the cooking fat in an oven-proof skillet over medium-high heat. Brown the pork on all sides for 1 to 2 minutes, then pour the chicken stock in the skillet. Place the skillet with the pork in the oven and bake for 12 to 15 minutes. Let the pork rest for 3 to 5 minutes before slicing.